The QEPM Research group is involved in several research activities related the fields of environment, safety and security. The QEPM research group has a lot of experts able to set-up different experimental set-up, also with complex combination of hardware, in order to develop different kind of measurements. The QEPM has also skills in designing, mounting and develop experimental apparatuous and manage remotely all the hardware by the means of programs like Labview (both normal and RT mode) and to elaborate data autmatically with Matlab or Python or other program languages. 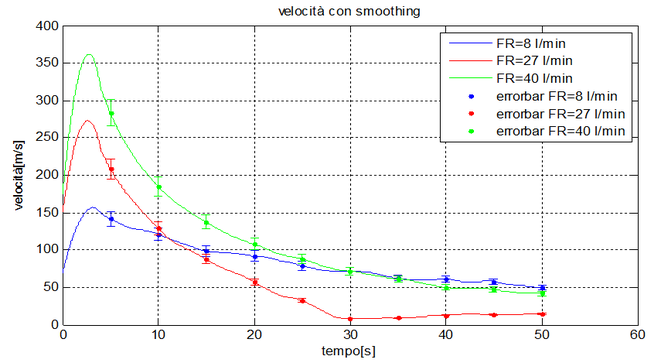 Here some example of data acquired with different hardware in different experimental set-up. A strong expertise of the research group is the capability to develop numerical simulations with software like COMSOL MULTIPHYSICS, FLUENT, CFX, OPEN FOAM, HOT SPOT, SOLIDWORKS in order to find mathematical model to reproduce real phenomena. 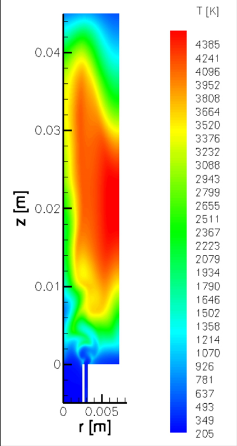 An example of these activities are CFD simulations in the fields of combustion, supersonic flows, multiphase flows and natural convection in nanostructure reactors. 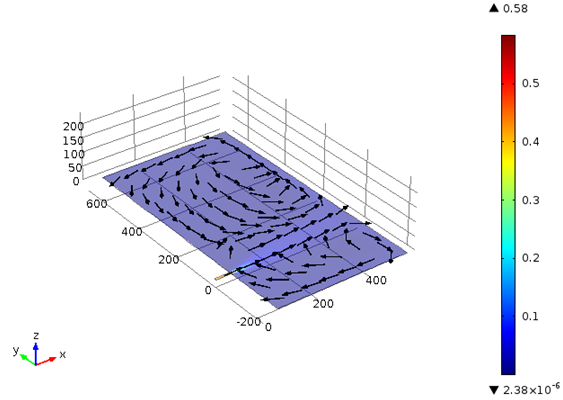 Simulations of high Mach number flows in vacuum expansion of air, with and without dust mobilisation are performed to evaluate the consequences of LOVA and LOCA. 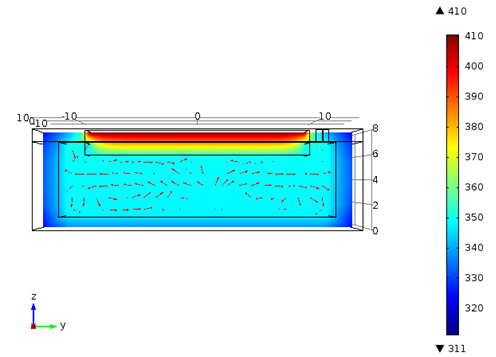 Comparisons between experimental and numerical results for SATRDUST-U facility are made, in order to validate the CFD model. 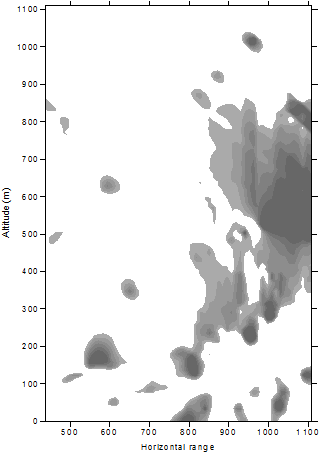 In the past, supersonic flows of space interest around re-entry bodies (M=20) were simulated, as well as the heat shield ablation. 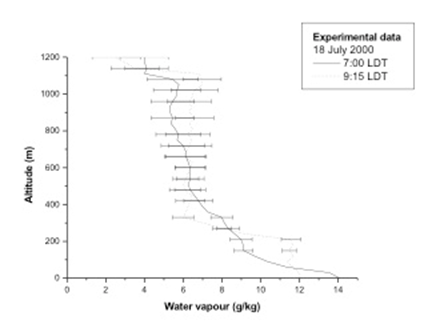 The heat flux determined by means of numerical simulations was then used to estimate the heat shield consumption rate at various points. 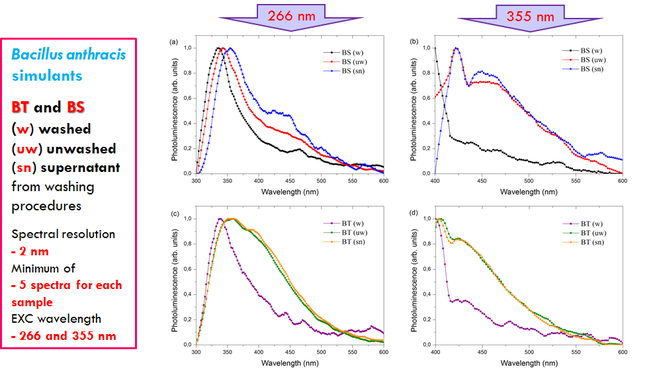 A numerical study of thermal anisotropy of composite materials was performed to evaluate their capacity to uniform the temperature and therefore reduce differential ablation. The international terrorism threat poses remarkable focus on the improvement of the capability to contrast ordinary (explosives) and non-conventional (Chemical, Biological, Radiological and Nuclear, CBRN) events. An interdisciplinary approach, which involves several subjects, such as Physics, Chemistry, Biology, Medicine, Engineering, etc. it is essential for the correct management of unconventional threats, both for the first responders and for advisors. From several years, the Quantum Electronics Plasma Physics and Material Research Group coordinates two International CBRNe Master Courses, NATO selected and cooperating with OPCW. The first Master Course (first level) targeted to first responders, currently at the second edition and the second one (second level) targeted to the advisors, currently at the sixth edition. Thanks to the synergistic cooperation among the high level experts belonging the Directive and Didactical Boards and the Scientific Committee, the Research Group is carrying on several Research projects, ranging from the Stand-off detections techniques using Laser sources (UV-LIF, LIDAR, etc) to the development of automatic systems for the data mining. In many fields of science, the complexity of the problems investigated is such that it can become difficult, if not impossible, to describe the phenomena to be studied with theoretical models based on first principles. The inadequacies of theoretical models and the vast amounts of information available have motivated the development of data driven tools, to complement hypothesis based theories. In this perspective, various machine learning methods have been developed ranging from Neural Networks and Support Vector Machines to Fuzzy Logic classifiers. Even if these data driven tools are providing quite impressive performance, they present serious drawbacks such has poor handling of the uncertainties and too abstract formulation of their models. Their results are indeed expressed in such a way that does not allow an easy interpretation of the phenomena under study. 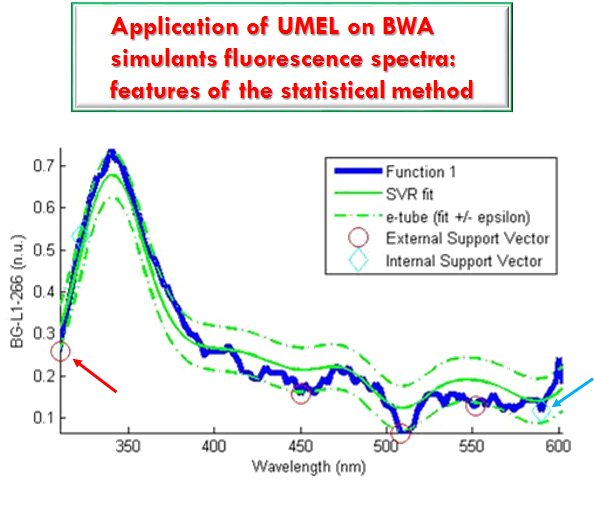 The main objective of this line of research consists of overcoming these difficulties by developing techniques which reflect the dynamics of the phenomena under study and can handle the measurement uncertainties in a statistical sound way. This new field of research, born in collaboration with ARPA Lazio, is to propose, develop and apply new experimental methods to reduce the environmental impact of analytical chemistry. 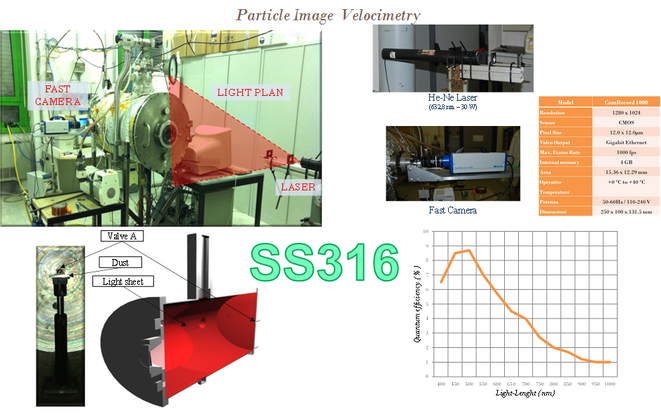 This requirement born as part of the research activities of the group of Quantum Electronics Plasma Physics and Materials of University of Rome Tor Vergata. Working on the development of laser techniques for the detection / identification of Toxic Industrial Chemicals and materials (TIC and TIM) and Chemical Warfare Agents (CWA) has the need to produce samples for analysis and work with agents and chemical reagents that must then be treated and disposed of. 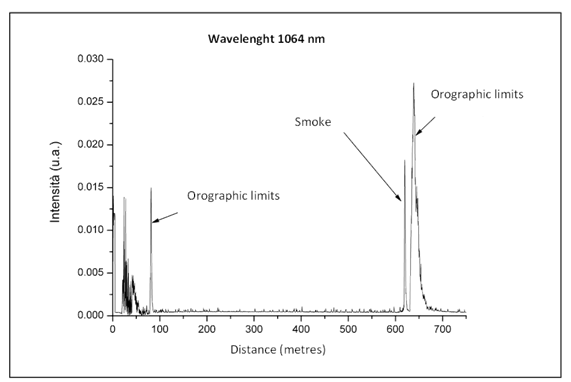 It has been created a new approach that provides for the joint use of methods of sample preparation with reduced environmental impact and spectroscopic instrumentation with low environmental impact and low energy consumption. Knowledge and skills that support innovative ideas in order to tackle all the real world problems.